Just one click and Convert-Tune converts all your audio and video files. 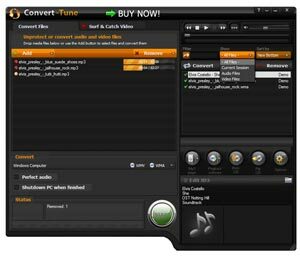 Convert-Tune handles all the technical worries and troubles. 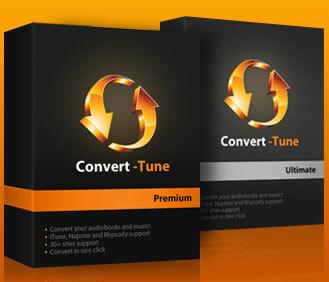 Convert-Tune was designed to be user friendly and extremely fast. You will be able to focus on the music you love and forget about the technical troubles. 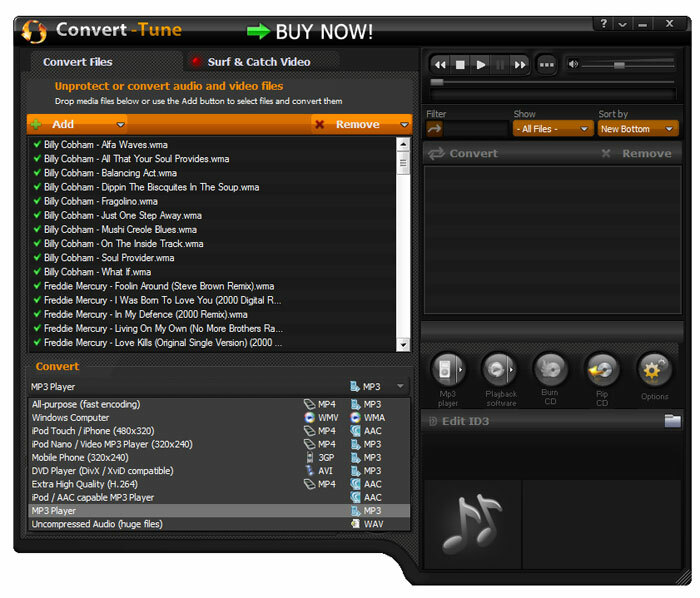 Convert-Tune user interface is powerful and intuitive. It converts purchased music and movie files to many formats - MP3, MPEG4, CD, iPod, MP3 player file formats - extremely fast and legally. 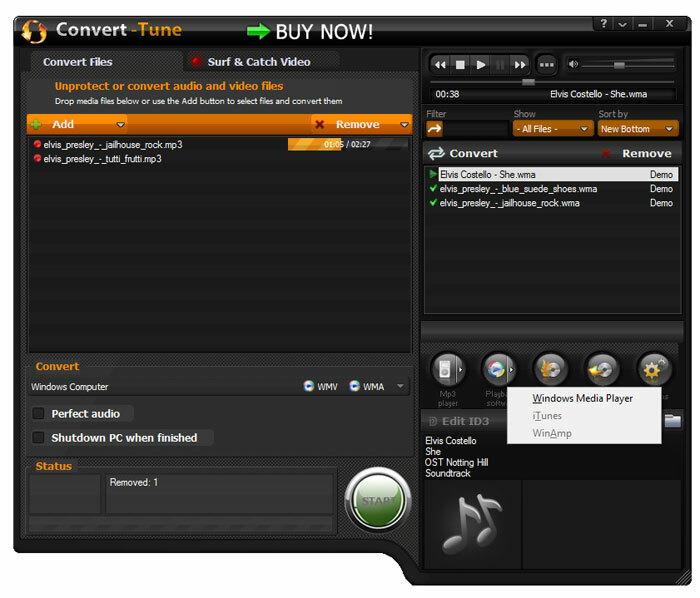 Convert-Tune converts music and movie files from all major music resellers. 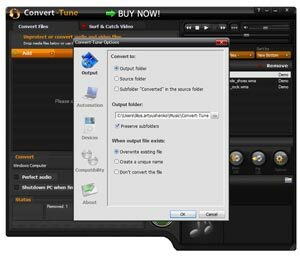 Converted files will work on any iPod, mobile device, multimedia player or PC without any limitations whatsoever. Compression level, output formats and other settings are customizable. 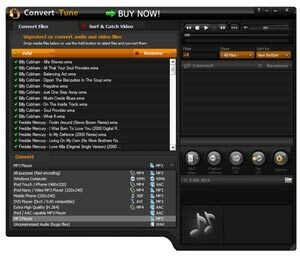 Batch mode and drag&drop functions works perfectly for converting your huge music library with 1-click.